Every woman wants to look charming and beautiful. There are certain features in a woman’s body, on her face too that typically exude her feminine grace. The captivating charm of a woman can be emanated through her eyes most ideally. Long fluttery eye lashes can instantly do the trick. Coupled with decent volume and you are on you way to Miss Best Eyes. In this post we will share some age old secrets on how to make or grow your eye lashes grow thicker and longer fast. Some of these are home remedies while others are just quick tricks. A woman’s eyes can look really beautiful if her eye lashes are thick & long. It gives your eyes a mesmerizing depth; a seductive allure indeed. There are women who are born with long thick eye lashes naturally. But there are also women who lack thick eye lashes and desperately want to grow their lashes long. 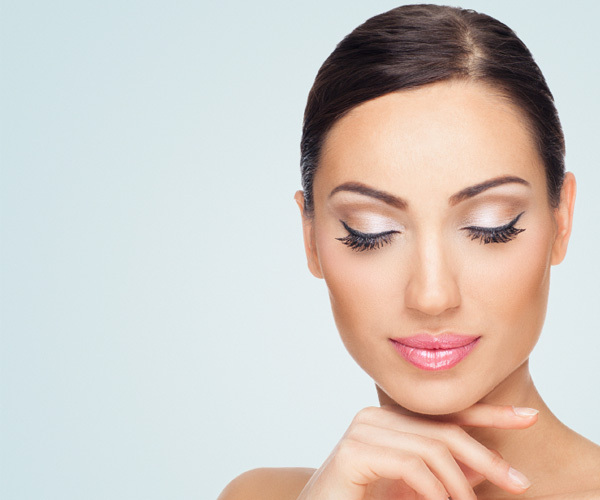 Read on to learn 10 best tips to make your eye lashes thicker. 1.Vaseline Trick : With the help of a cotton bud swipe a neat line of Vaseline along your eyelid before retiring to bed. Do this every night to see a remarkable change in the growth of your eyelashes. Your lashes will soon grow thick & long. 2. Makeup Removal : Cleaning eyes and lashes of all makeup will keep them healthy and help them to grow thick and long faster. So proper Eye Care is one priority indeed. Use good quality eye makeup removers like MAC Cleanse Off Oil and Chambor Eye Makeup Remover. 3. Vitamin E : Apply Vitamin E Oil with a cotton bud on to your eyelids at night. You can even use Vitamin E tablets. Also make it a point to take supplements of Vitamin E regularly to speed up the process of growing your eye lashes fluttery long. 4. Jojoba Oil and Olive Oil : Use a Mascara Brush to coat your eye lashes with a mix of the natural oils. Apply this oily mix along the eye lids too. You can use oils like Castor Oil, Coconut Oil, Olive Oil and Jojoba Oil to prepare this oily mixture or just use one seperately. These are rich in eye lash lengthening minerals and vitamins that will make your eye lashes grow instantly. 5. Eye Massage : Often due to over application of eye makeup or due to improper cleansing eye lashes become weak, break & fall out. You can restore this damage by massaging your eyelids very gently with an oil or just with bare hands. This will boost the growth of eyelashes by stimulating hair follicles present therein. 6. Healthy Diet : Pay heed to your diet too. Include more and more green leafy veggies and fresh fruits in diet to get a boosted hair growth. Naturally your eye lashes too will grow thick and long. 7. Lengthening Mascara : This is not exactly a home remedy but works instantly. You can even use a Lengthening Mascara to give an instant thick fuller and longer effect to your eye lashes. 8. Emu Oil : With a cotton stick apply Emu oil onto your eyelids and eye lashes. Your lashes will grow long and thick in no time. Emu oil is one of the best conditioners for eye lashes stimulating its growth like anything. 9. Shoe Flower : Shoe Flower is one incredible floral ingredient that can make your lashes truly beautiful and thick. Pluck from the garden, wash thoroughly and rub on eye lids and lashes. Your lashes will gradually grow long and thick. 10. DIY Serum : Make your own eye lashes growth boosting herbal serum by mixing 2 tbsp castor oil, 1 tsp Almond oil, 2 tsp Aloe sap. Apply this extremely nourishing serum and let eye lashes turn alluringly thick in no time. So these are some very effective ways to allow your eye lashes to grow in a healthy manner. Next → Next post: 10 Awesome Lipstick Hacks You Have Never Heard Before!!!! !